What is the Turnaround Time on Braille Printing? Business owners often ask how long it takes to print a braille document. The answer is simple, but tends to evoke more questions. The truth is, it depends. Just as it is with standard print, the turnaround time depends on variables such as the number of pages, the formatting requirements, output choices and printing methods. The same is true for braille printing. 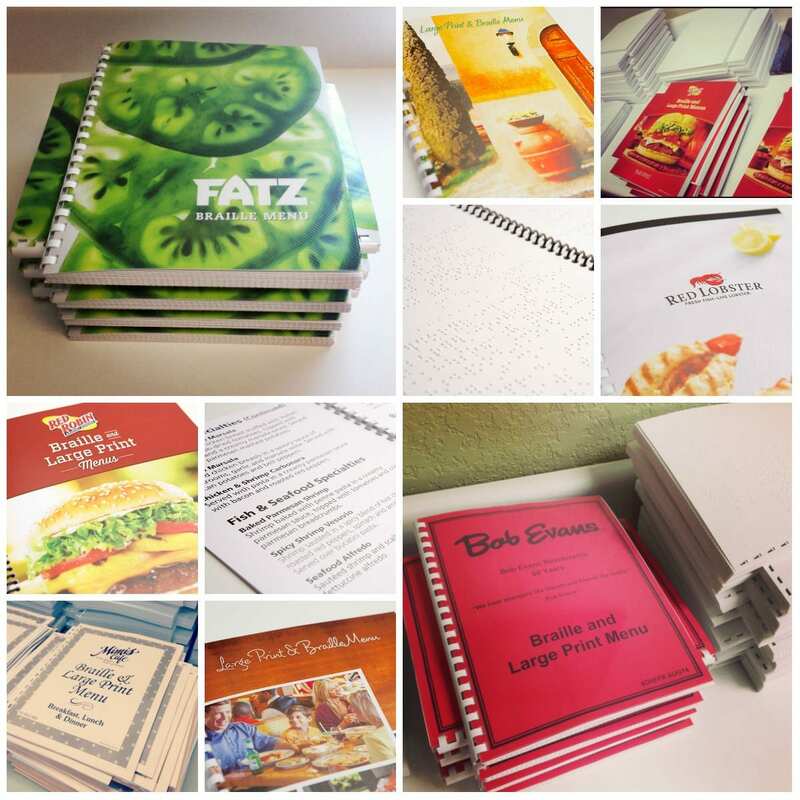 It depends on the number of pages in the original document, the formatting requirements, binding and finishing choices, and output: press braille; braille writer; basic braille embosser; or commercial braille embosser. The braille printing process starts with transcription. Transcription begins with a careful, detailed review of a printed text document. Consider this: A single page of text–no tables or charts or complex components can expand to 3-5 pages of braille. A page with a complex table, when properly formatted, may expand to more than 30 pages of braille. Complex transcriptions for elements like charts or tables affect turnaround time. But the extra time is worth it to deliver a high-quality braille document. After transcription, it’s time to emboss. 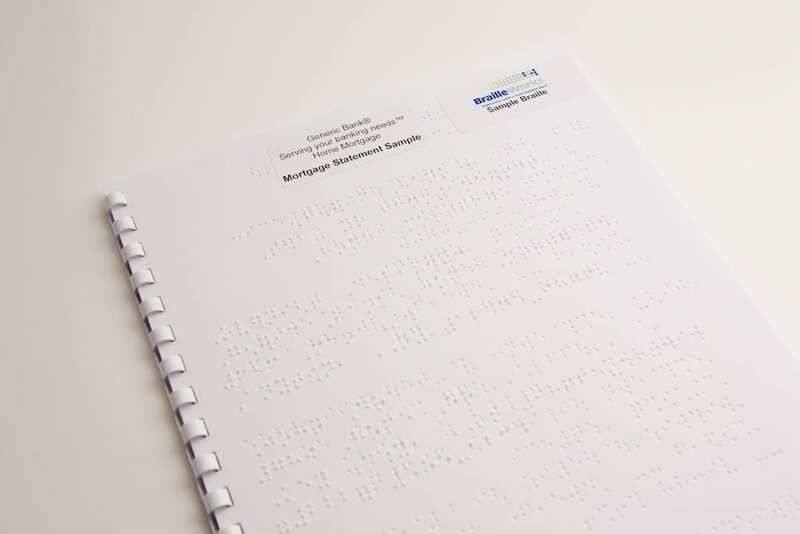 For industries like banking, healthcare and government, commercial braille embossers are the ‘go-to’ method. These are typically large machines that can produce up to 1000 pages or more per hour. If you’re thinking a traditional desktop printer, think again. Some commercial braille embossers are about the size of a refrigerator. Having the machines properly adjusted affects the shape and quality of the braille dots. This is critical to creating a document that is comfortable to the hand and easy to read, as faded or irregular dots are harder to decipher. It’s a bit like if a sighted person received a faded document that was printed on a machine running low on toner. It makes the document difficult to read and reflects poorly on the company that provided the document. The final touches: finishing and binding. The binding of a braille document can make a significant difference in its readability. Braille documents are much easier to read when placed flat on a desk or table. Properly bound with a GBC Comb binding, or coil binding; and embossed on standard sized paper is ideal, though some documents call for special binding or finishing options. Smaller documents, for example, can be folded and stitch stapled. So, how long does it take to get a document transcribed in braille? The answer is still, “It depends.” Smaller documents like repetitive statements and notices can be automated and the turnaround time can be as short as one day or up to five days, depending on the level of automation that can be achieved. It may take up to 20 business days to transcribe, emboss and bind larger documents, again depending on the number of pages and the complexity of those pages. Why does it take so much time? It’s critical to create a document that makes your company look good and best serves the needs of your customers.